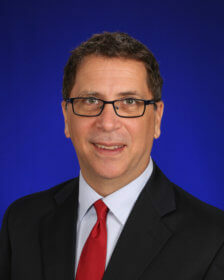 Billy Peebles serves as Palm Beach Day Academy's Interim Head of School - 2018-19. He holds a bachelor’s degree in politics from Princeton University where he was captain of the Princeton Rugby Team for two years. He completed his Master of Business Administration at the Darden School of the University of Virginia. 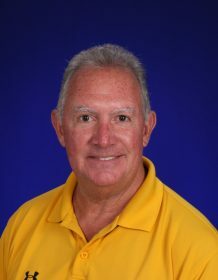 Mr. Peebles brings 37 years of exceptional experience to Palm Beach Day Academy. 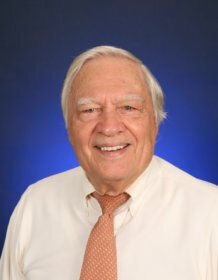 He started his career in independent education as a teacher/administrator at Virginia Episcopal School in Lynchburg, Virginia. 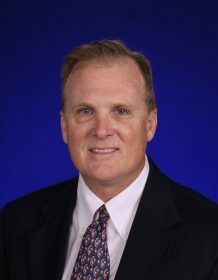 He began his school leadership career as Headmaster of the Powhatan School, a K-8 independent school in Boyce, Virginia. 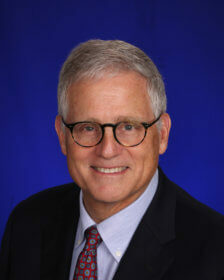 He then served as Headmaster of the Asheville School in North Carolina, before joining The Lovett School in Atlanta, Georgia. Billy and his wife Penny have been married for nearly 34 years and have an adult daughter, Sara. 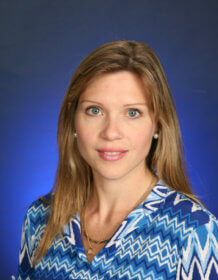 Meghan Albanese is the Director of Admission and Financial Aid, and has been at PBDA since 2002. She graduated with a B.A. in Communications from Florida State University. Meghan is the parent of Paige 2027. 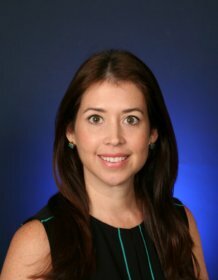 Adrienne Arp is the Assistant Director of Development and Alumni Relations, and has been at PBDA since 2015. She graduated with a B.S. in Psychology from the University of Utah. A 1992 PDBA Alumna, Adrienne is also the parent of Lily 2019, Mary 2022 and Griffin 2024. 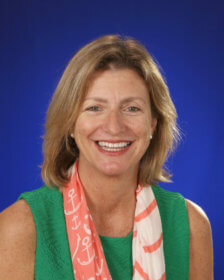 Martha Bjorklund is the Head of Lower School. She earned her B.S. in Elementary Education from Skidmore College and her M.S. in Reading from Fordham University. 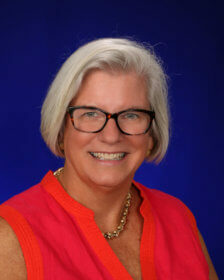 Martha served as the Assistant Head of Lower School among other duties at Allendale Columbia School in Rochester, NY for 18 years following 16 years of teaching at Saint David's School in New York City. She has been at PBDA since 2018. 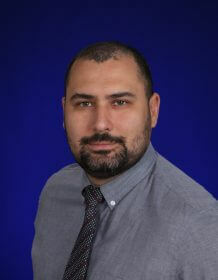 Billy Coyle is the Director of Finance and Operations, and has been at PBDA since 2007. He graduated with a B.S. in Accounting from Central Connecticut State University, and holds a B.S.Ed. in Business Education from Central Connecticut State University. Billy is the parent of Amanda 2011 and Ryan 2013. 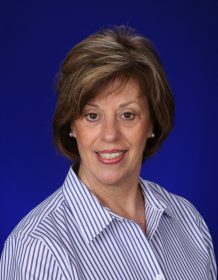 Dorothea Cvelbar is the Associate Director of Admission and has been at PBDA since 1990. She graduated with a B.S. in Elementary Education - Early Childhood from Bridgewater State College. Dorothea is the parent of Marin 2021. 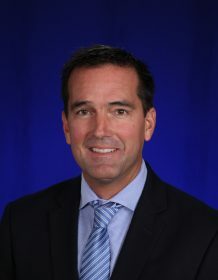 Brent Gallagher is the Associate Director of Marketing, and has been at PBDA since 2019. 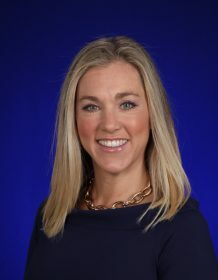 She graduated with a B.A., Strategic Communications degree from Elon University. 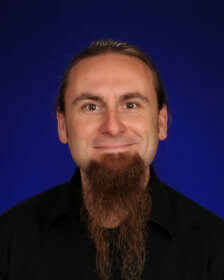 Richard Tummon is a teacher/administrator, and has been at PBDA since 1991. He graduated with a B.S. in Environmental Science & Biology from Richard Stockton State University. He currently teaches 5th Grade Honors English and Reading, and also serves as the Director of Communications and Smith Theater House Manager. Richard is the parent of Katie 2003, Brandon 2004, Brian 2005 and Alexandra 2014. 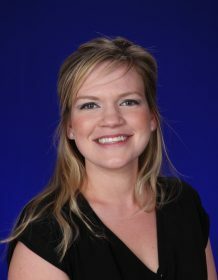 Melissa George is an Administrative Assistant on the Lower Campus. She holds a B.A. 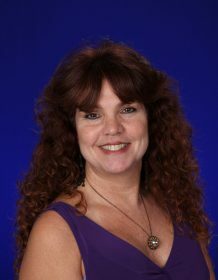 in Psychology from Palm Beach Atlantic University and has been at PBDA since 2000. She is the parent of Alexander 2015, Jacob 2018 and John 2022. Julissa Lane is an Administrative Assistant on the Lower Campus, and has been at PBDA since 2017. She graduated with a A.A. in Business Management from Borough of Manhattan Community College. 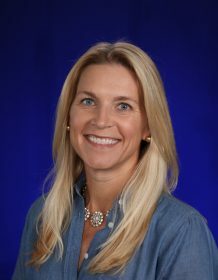 She serves as the Assistant to the Head of Lower School. 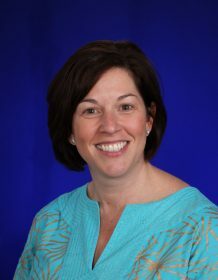 Karen Lucchesi is the Administrative Assistant to the Head of School, and has been at PBDA since 2007. She has a B.A. in Psychology from the University of Alabama and a M.S. in Mental Health Counseling from Nova Southeastern University. in addition to her duties as Assistant to the Head of School, Karen provides Secondary School Guidance to students and their families. She is the parent of Stephanie 2019. 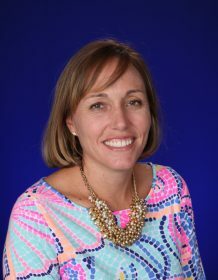 Leslie Piester is the Administrative Assistant to the Head of Upper School, and has been at PBDA since 2018. Kimberly Belfi is the Controller/HR Manager, and has been at PBDA since 2012. Kimberly is the parent of Zara 2014. 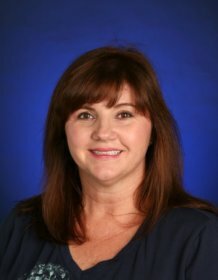 Cindy Pflaumer is a Business Office Assistant, and has been at PBDA since 2005. Cindy is the parent of Lauren 2014 and Hailey 2016. 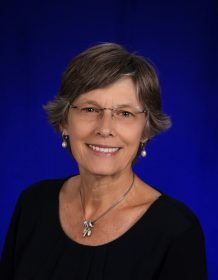 Pam Ha-Stevenson is the Development Associate, and has been at PBDA since 2019. She graduated with a B.A. Economics and Japanese degree from University of Michigan. Jennifer Andreon is the Lower Campus Librarian, and has been at PBDA since 2008. Having graduated with a B.S. in Education from Loyola University, and a M.A. in Education from Marquette University, she also holds a Certificate in Youth Services from Florida State University - School of Information. Jennifer serves as a member of the Technology Committee, Curriculum Committee, and Steering Committee for Community Engagement. Jennifer is the parent of Lucas 2023. Danielle Aronson teaches Kindergarten on the Lower Campus, and has been at PBDA since 2006. Having graduated with a B.S. 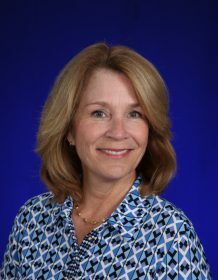 in Elementary Education from University of Central Florida, she is also certified in CPR and First Aid. In addition to teaching Kindergarten, she also serves as the Grade Coordinator. Danielle is the parent of Tyler 2021, Leah 2024 and Parker 2026. 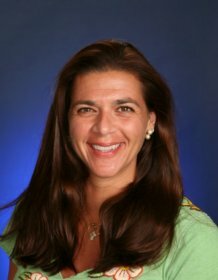 Tina Barbieri teaches math on the Upper Campus, and has been at PBDA since 1991. Having graduated with a B.A. in Mathematics Education from Brooklyn College, and a M.S. 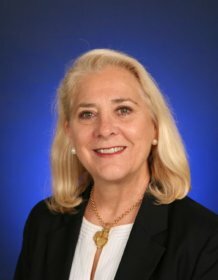 in Mathematics Education from Nova University, she also holds a Gifted-Endorsed Florida Professional Teaching Certificate in Mathematics 6-12. In addition to teaching math, she also serves as the Math Department Chair, an 8th Grade Class Advisor and Knowledge Bowl Coordinator. Tina is the parent of Tony 2001 and Marina 2004. 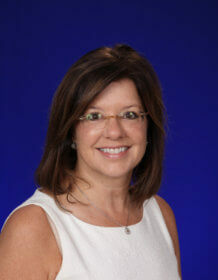 Jamie L. Bartlett teaches 2nd Grade on the Lower Campus, and has been at PBDA since 2011. Having graduated with a B.S. 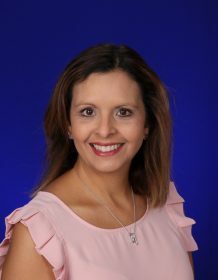 in Rehabilitation Services from Florida State University, and a M.Ed in Elementary Education from University of North Florida, she also holds a Florida Teacher Certification with ESOL Endorsement. 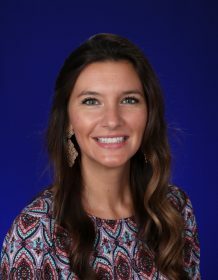 In addition to teaching 2nd Grade, she also serves as the Bulldog Outreach Coordinator. Jamie is the parent of Jack 2022 and Grace 2024. 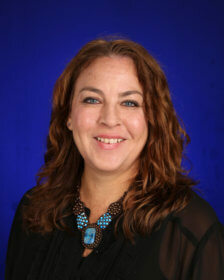 Wendy Bieneman teaches 4th Grade on the upper Campus, and has been at PBDA since 2007. Having graduated with a B.S. in Education from Florida State University, and a M.Ed. 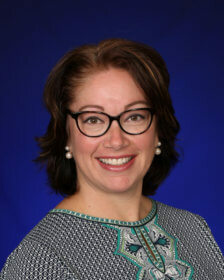 in Educational Leadership from Florida Atlantic University, she is also certified in ESOL ESE. Wendy is the parent of Ryan 2022. Olympia Bishop teaches Math on the Upper Campus, and has been at PBDA since 2015. She graduated with a B.A. in Special Education & Child Development from Vanderbilt University, and a M.Ed. in Mathematics Education from Boston University. She currently teaches 6th-9th Grade Mathematics and also serves as a Coach. Christi Chane teaches 5th & 6th Grade on the Upper Campus, and has been at PBDA since 2003. She graduated with a B.A. in Psychology from San Diego State University, and a M.Ed. in Elementary Education from DePaul University. She currently teaches 5th Grade English and Reading, and 6th Grade Math. Christie is the parent of Harper 2027, Jack 2028 and Liliana 2030. Allison Charnick teaches Primary students on the Lower Campus, and has been at PBDA since 2008. Having graduated with a B.S. in Human Development and Family Studies from Colorado State University, she is also certified in Early Childhood Education - Birth through 3rd Grade. In addition to teaching Primary, she also serves as the Early childhood education teacher licensure program (birth through grade 3) coordinator. Allison is the parent of Noah 2031. Sue Chris teaches Art on the Upper Campus and has been at PBDA since 1994. She graduated with a B.F.A in Visual Art from Florida Atlantic University. She currently teaches 5th grade Color Theory; 6th grade HGD; 6th grade Forming; 7-9th grade Artistic Expressions; 7-9th grade Pottery; Clayful Fun Enrichment grades 2-9, and also serves as the Assembly Coordinator, Cultural Enrichment Program Director, 6th Grade Advisor and Uniform Team. 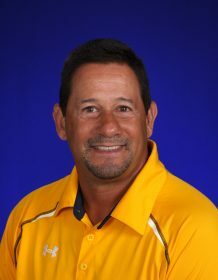 Paul Cicio is the Athletic Director and has been at PBDA since 2001. Having graduated with a B.S. in Physical Education from SUNY Cortland, he also holds a CDL Drivers license and is First Aid/CPR certified. 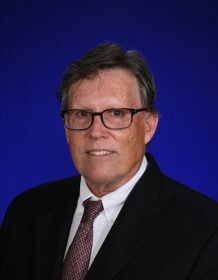 In addition to teaching Upper Campus Athletics he also serves as the Class Advisor, Transportation Director, and a member of Secondary Schools Team. Paul is the parent of Anthony 2011 and Luke 2020. 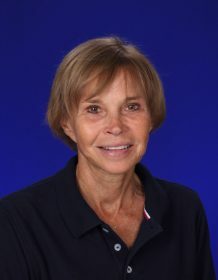 Barbara Close teaches advanced Math on the Upper Campus and has been at PBDA since 1979. She graduated with a B.S. from DePauw University, a M.S. from Nova University and a M.Ed. in Curriculum and Instruction from Florida Atlantic University. 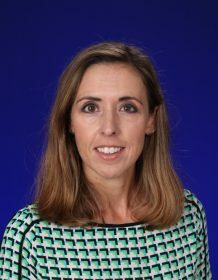 She currently teaches Upper School Mathematics, and also serves as the Yearbook Advisor, Mathcounts Coach, 9th Grade Class Advisor, and Chi Alpha Mu Advisor. A 1967 PDBA Alumna, Barbara is also the parent of Julia 1990 and Bob 1992. Ellie Colpitts teaches 4th Grade on the Upper Campus, and has been at PBDA since 1992. Having graduated with a B.S. 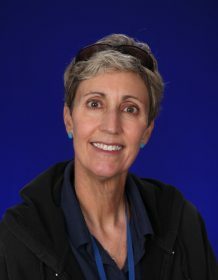 in Biology and Fine Arts from the University of Arizona, she also has a Bacclaureate Elementary Education Certification. 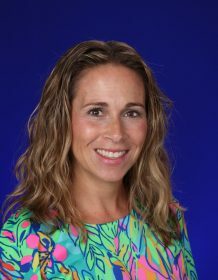 She currently teaches fourth grade Language Arts - grammar, reading, spelling, writing; Mathematics; and Florida Studies, is a Professional Development Committee member and 4th Grade Lead. Ellie is the parent of Cameron 2003. 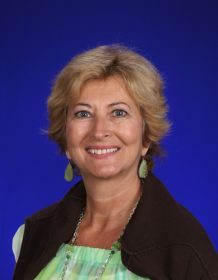 Jan-Marie Cook teaches English and Performing Arts on the Upper Campus and has been at PBDA since 2009. She graduated with a B.F.A. in Theatre Arts from Florida Atlantic University, and a M.Ed. in Curriculum & Instruction from Florida Atlantic University. 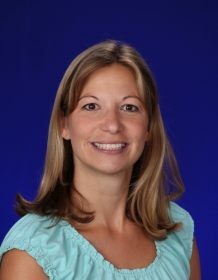 She currently teaches 6th Grade English; 6-9th Grade Speech and Debate; 4th Grade Drama; 7-9th Grade Performing Arts, 7th Grade History and also serves as the 7th Grade Advisor. Jan is the parent of Topher 2023, Piper 2025, Calvitt 2027 and TK 2030. Andrew J Crane teaches Chinese Language on the Upper Campus, and has been at PBDA since 2017. He graduated with a M.Ed. in World Language Education from the University of Oklahoma. He currently teaches 4th - 9th Grade Chinese Language. Wendie Crawford is the Learning Specialist on the Upper Campus and has been at PBDA since 1979. Having graduated with a B.A. 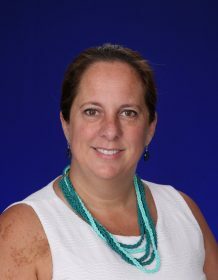 in Elementary Education from Boston College, and a M.S.in Specific Learning Disabilities from Nova Southeastern University, she is also Orton-Gillingham Trained - 3 Programs. She currently teaches Learning Strategies and coordinates Student Screenings and also leads PBDA’s out reach partnership with Hope Rural School. Wendie is the parent of Brooke 2002. Paulette Danni teaches Pre-Primary students on the Lower Campus, and has been at PBDA since 2008. Having graduated with a A.S. in Infant/Toddler Studies from Niagara Community College, she also holds a National CDA Infant/Toddler Certificate from Palm Beach State College. In addition to teaching Pre-Primary, Paulette also serves as a member of the Holiday Musical committee. 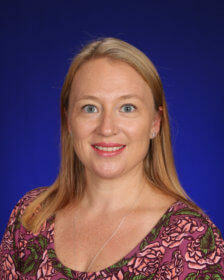 Shana Dutkewych is an Upper Campus Learning Specialist, and has been at PBDA since 2001. Having graduated with a B.S. in Special & Elementary Education from State University of New York at Geneseo, and a M.A. in Reading Education from Teachers College, Columbia University, she also holds a New York State Certification in Special Education, Elementary Education and Reading and is a Certified Instructor in the Wilson Reading System. 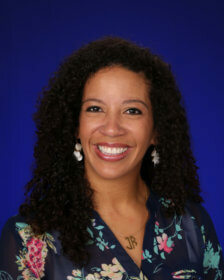 She currently teaches Learning Strategies in Grade 6th, 7th, 8th, and 9th and also serves as an 8th Grade Advisor. Shana is the parent of Nikolai 2021, Bohdan 2024 and Mirek 2026. 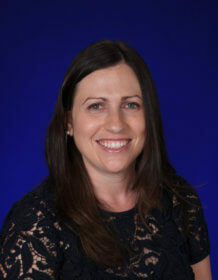 Elizabeth Eisenberg is Primary Teacher, and has been at PBDA since 2018. Elizabeth graduated with a B.A. in Journalism from Lehigh University in Pennsylvania, and then earned a M.A. in Special Education from the University of Arizona. Elizabeth is also certified as a BACB Certified Registered Behaviors Technician. Courtney Ellender teaches Kindergarten on the Lower Campus, and has been at PBDA since 2007. Courtney graduated with a B.A. in Political Science and German from McDaniel College, and completed a teacher certification program and a M.S. in Exceptional Student Education from State University of New York - College at Buffalo. She holds state Teacher Certification in - Elementary Education Pre-K - 6 / Special Education, Pre-K - 12. Courtney is the parent of Ashton 2021 and Kiley 2025. 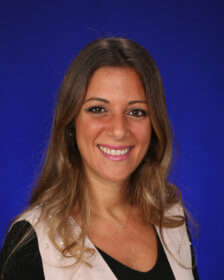 Mona Fakhoury is the 3rd Grade Teacher, and has been at PBDA since 2018. She graduated from Saint Peter's College with a B.S.in Business Administration and then earned a M.A. in Education, also from Saint Peter's College. 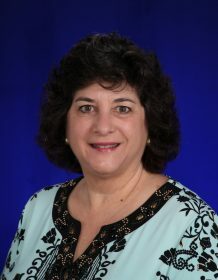 Mona holds New Jersey State teaching credentials and has a Certificate of Eligibility with Advanced Standing in Elementary Education, and a Certificate of Eligibility with advanced standing in General Business Studies. 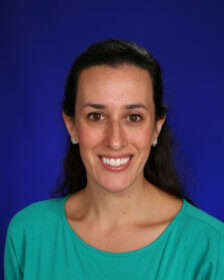 Heather Fanberg teaches 1st Grade on the Lower Campus, and has been at PBDA since 2005. Having graduated with a B.A. in Natural Sciences and Mathematics from Felician College, and a M.S. 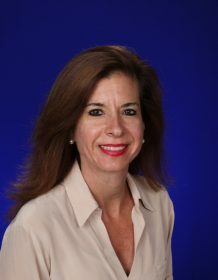 in Informational Technology in Education from Nova Southeastern University, she also holds a Florida Professsional Educators Certificate, K-6 and Exceptional Student Education Certificate, K-12. In addition to teaching 1st Grade, she also serves as the 1st Grade Coordinator and is an Enrichment Teacher. Heather is the parent of Evan 2022 and Kayla 2025. 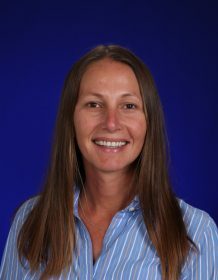 Madeline Feldman is a Learning Specialist on the Lower Campus, and has been at PBDA since 2018. She graduated with a B.S. in Elementary Education and Child Studies from Peabody College at Vanderbilt University. She went on to earn a M.A. in Reading Education from Teachers College at Columbia University. Madeline a certified Orton-Gillingham Classroom Educator. Claudie Finney teaches 4th through 9th Grade French on the Upper Campus, and has been at PBDA since 1998. She graduated with a B.A. in English Literature from the University of Toulouse Mirail, and a M.A. in Education from Florida Atlantic University. 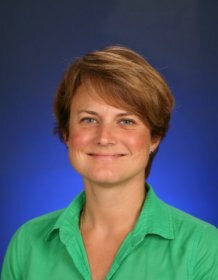 In addition to teaching French, she serves as the Head of the World Language Department, and is the 7th Grade Lead Advisor. Claudie is the parent of Emilie 2003 and Benjamin 2006. Nina Flaminio teaches Primary students on the Lower Campus, and has been at PBDA since 2008. Having graduated with a B.S. in Sociology from S.U.N.Y Albany, and a M.S. in Early Childhood and Elementary Education from C.U.N.Y. Hunter College, she also holds a Master Level ESOL Endorsement. In addition to teaching Primary, she also serves as a member of the Sunshine Committee and is the Harvest Fest Chair. Nina is the parent of Elisa 2014. Valentina Gabrielli teaches Spanish on the Upper Campus, and has been at PBDA since 2014. She graduated with a B.A. in Psychology & Art, a B.S. in Education from Georgia Southwestern State University, and a M.A. in Curriculum & Teaching from Teacher's College, Columbia University. She currently teaches Spanish to 4th - 9th graders, and also serves as a 8th Grade Advisor, Enrichment Coordinator, and as a Student Leadership Council Advisor. 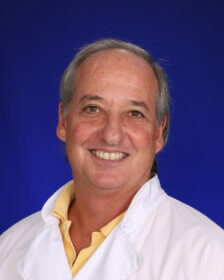 Jim Gramentine teaches 4th Grade on the Upper Campus, and has been at PBDA since 1989. He graduated with a B.A. in Political Science/International Relations from Carleton College, and a M.A.T. in Early Childhood Education from the National College of Education. 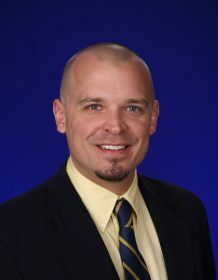 He currently teaches 4th Grade Language Arts, Mathematics, and Florida Studies. Jim is the parent of Benjamin 2007 and Nathanial 2016. Ralph Greco teaches English and Writing on the Upper Campus, and has been at PBDA since 1968. He graduated with a B.A. in Education from the University of Maryland. He currently teaches 6th, 8th and 9th Grade English. 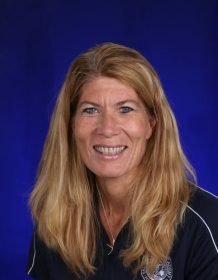 Patti Griffin is an Upper Campus Athletics teacher and Coach, and has been at PBDA since 2006. She graduated with a B.S. in Nursing from Hartwick College. 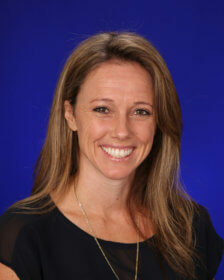 In addition to teaching Upper School Athletics, she is the 6th Grade Lead Advisor. Patti is the parent of Emily 2009, Nicholas 2011, Quinn 2016 and Kate 2020. 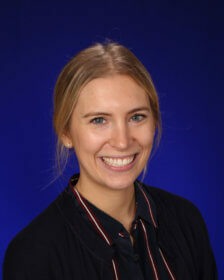 Grace Gunkel is an Upper Campus Athletics teacher and Coach, and has been at PBDA since 2017. She graduated with a B.A. in Physical Education and Health Sciences from East Stroudsburg University. Grace, a 2005 alumna, currently teaches 4th-9th Grade Athletics, and also serves as a Coach. Erika Handley teaches Art on the Lower Campus, and has been at PBDA since 2002. She graduated with a B.A. in Fine Arts from Palm Beach Atlantic University. She currently teaches art to Pre-Primary to 3rd Grade, and also serves as the Yearbook Advisor, Photographer, Manager of Artsonia online art gallery, and Enrichment Teacher. Erika is the parent of Taylor 2019, Gavin 2021 and Charlee 2026. 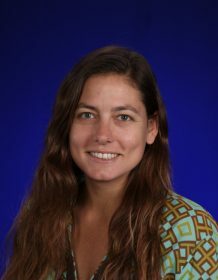 Ashley Hollern teaches Science on the Upper Campus, and has been at PBDA since 2014. She graduated with a B.S. in Biology, and a minor in Chemistry from the University of Pittsburgh, and a M.S. in Science of Instruction, Biology from Drexel University, and holds a NASA Endeavor Leadership Certificate in STEM Education from Teachers College, Columbia University. She currently teaches 9th Grade Biology and 8th Grade Pre-Chemistry. Ashley is the parent of Rielly 2020, Peyton 2022, Carson 2026, and Celia 2031. 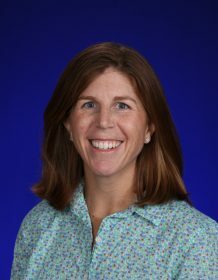 Jennifer J. Howard teaches English and writing on the Upper Campus, and has been at PBDA since 2017. She graduated with a B.A. in English from Dickinson College, and a M.H. in Humanities from Tiffin University. Jen currently teaches 7th – 9th Grade English and writing. Robyn Huff teaches Music on the Lower Campus and has been at PBDA since 2005. She graduated with a B.S. in Music Education & Voice from Hobe Sound Bible College, and a M.Ed. in Curriculum & Instruction from Florida Atlantic University. 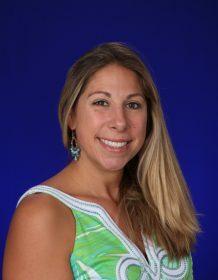 She currently teaches lower school Vocal Music and produces and directs the Lower Campus Musical Productions and the Summer Quest Musical Theatre. Annette Johnson teaches Music & Drama on the Upper Campus, and has been at PBDA since 2011. Having graduated with a B.A. in Music Therapy from Florida State University, a MAT in Music Education from Florida Atlantic University, a Specialist in Education (SE) in Educational Leadership from Barry University and she also holds a Florida Department of Education: K-12 Music Education and Educational Leadership Certificate, and is a Board Certified Music Therapist. She currently teaches 4th Grade Recorders, Drums and General Music; 5th Grade Steel Drums, Handbells and General Music; 6th Grade Percussion Ensemble, 7th-9th Grade Steel Drums, Handbells and a Creative Music Elective. 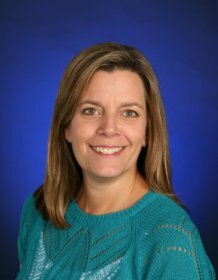 Annette directs the 4th-8th Grade Bulldog Chorus and the 7th - 9th Grade Chorus and is the Co-Director of Spring Musical and 4th Grade Musical. She is also on the STEAM Leadership Team. Litzrudy Justinvil is the STEAM Scholar-in-Residence, and has been at PBDA since 2017. He graduated with a B.S. in Biology from Palm Beach Atlantic College, and a M.D. in Medicine from the University of Miami. 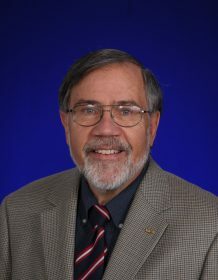 He serves as the Coordinator of STEAM Instruction. Litzrudy is the parent of Marley 2027. 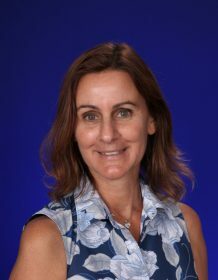 Catherine Kegelman teaches 5th Grade on the Upper Campus, and has been at PBDA since 2016. She graduated with a B.A. in History from Wheaton College, and a M.Ed in General Education from Bankstreet College of Education. Casey currently teaches 5th Grade Math, English, and Reading. 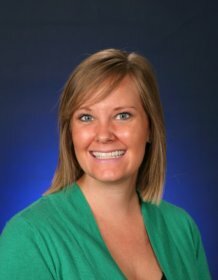 Lindsay Kosarek teaches Kindergarten on the Lower Campus, and has been at PBDA since 2014. Having graduated with a B.S. in Human Development and Family Studies from Texas Tech University, she also holds an Early Childhood - 4th Grade Teaching Certification and a Gifted and Talented Endorsement. She currently teaches Kindergarten reading, math, social studies, science, and writing. 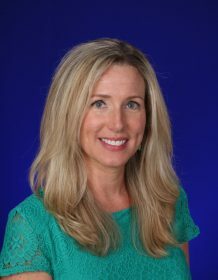 Melissa Kotz teaches 2nd Grade and has been at PBDA since 2018. She graduated with a B.S. in Elementary Education from Huntington University in Indiana. Melissa is the parent of Karson '27. Tracy Kramm teaches Art on the Upper Campus, and has been at PBDA since 1990. She graduated with a B.S. in Art Education from Florida State University, and a M.A.T. in Art Education from Florida International University. In addition to teaching art, she also serves as the Yearbook Advisor; 6th Advisor, and Bus Driver. Tracy is the parent of Johan 2016. Nicole LaTorra teaches Kindergarten on the Lower Campus, and has been at PBDA since 2002. She graduated with a B.S. in Psychology from the University of Florida, and a M.Ed. from Palm Beach Atlantic University. Nicole currently teaches Kindergarten Math & Science. 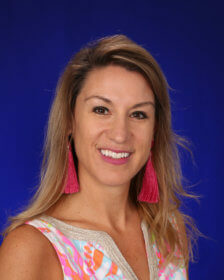 Kristina McCann teaches 1st Grade on the Lower Campus and has been at Palm Beach Day Academy since 2018. Kristina earned a B.S. in Biology & Spanish from Southern Connecticut State University and an M.Ed. in Curriculum and Instruction from American School of Education. She is the parent of Deklin 2027 and Molly 2030. 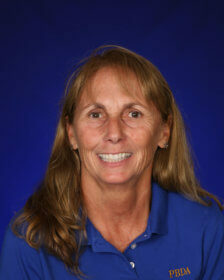 Linda Merman is a Lower Campus Technology and Enrichment teacher, and has been at PBDA since 1995. Having graduated with a B.S. in Elementary Education from Florida State University, she also has 6-9th Grade Montessori certification. 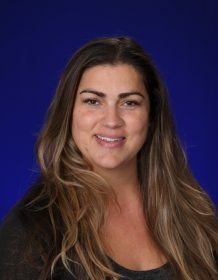 She currently teaches Technology & Enrichment, and also serves as the After School Care Coordinator, Director of SummerQuest, and Thanksgiving Project Committee Coordinator. 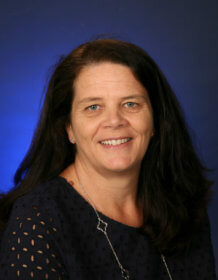 Anne Methe is a Lower Campus Learning Specialist, and has been at PBDA since 1987. 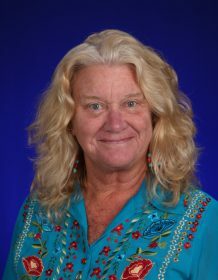 Although she retired in 2017, she has returned after 35 years of teaching PBDA Kindergartners to offer academic support to Lower Campus students. Anne graduated with a B.S. in Early Childhood Education from Auburn University, and a M.A. in Early Childhood Education from Florida State University. She is Wilson Language Certified and is a Wilson Dyslexia Practitioner. Anne is parent to Alumni Bradley Methe '05 and Stephen Methe '06. 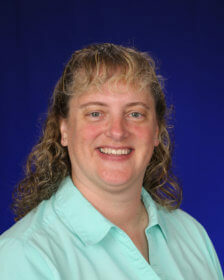 Erin Mitchell teaches Science on the Upper Campus, and has been at PBDA since 2008. Having graduated with a B.A. in Elementary Education with a T.E.S.O.L Endorsement from Florida Atlantic University, and a M.A. in Teaching and Learning: Specialization in Reading from Nova Souteastern University, she also holds certification in Project Learning Tree and Project Wild & Aquatic. Erin currently teaches 4th and 5th Grade Science, and also serves on the Green Team. 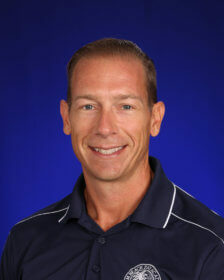 Chris Neibling teaches Upper Campus Athletics, and has been at PBDA since 2017. He graduated with a B.S. in Business Administration from Towson University. 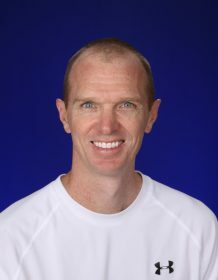 Chris currently teaches 4th – 9th Grade Athletics, and also serves as a JV & Varsity Soccer Coach. Jose Ojeda teaches Science and Spanish on the Upper Campus, and has been at PBDA since 2015. Having graduated with a B.S. in Industrial Design from Universidad de los Andes, and a MBA from Florida Atlantic University, he also holds a NASA Endeavor Leadership Certificate in STEM Education from Teachers College, Columbia University. 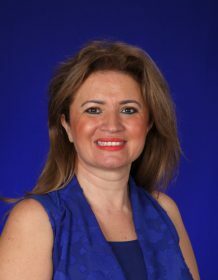 Ilkay Ozgenc teaches Primary students on the Lower Campus, and has been at PBDA since 2001. She graduated with a B.A. in English from the University of Cukurova, Turkey, and a M.A. in Childhood-Preschool Education from Nova Southeastern University. In addition to teaching Primary, she also serves as the a member of the Committee for Community Engagement and Annual Fund for Faculty. She is the parent of Seray 2019 and Berkay 2023. Jonathan Paine teaches History on the Upper Campus, and has been at PBDA since 2001. He graduated with a B.S. in Psychology & Spanish from Wofford College, and a M.A. in TESOL from Nova Southeastern University. In addition to teaching history, he also serves as the BTV Director and PBDA’s Video Executive Producer. Jonathan is the parent of Nicole 2008 and Josie 2010. Carrie Pateman is the School Nurse and has been at PBDA since 2010. Having graduated with a B.S. in Biology from the University of Puget Sound, and with a B.S.N. in Nursing from South University, she is a Registered Nurse and holds certification in BLS, First Aid and Bloodborne Pathogen Training. She is the 8th Grade Lead Advisor, Assistant Varsity Girls Basketball Coach, leads the Mentor Program and is a member of the Support Services Team. A 1992 PDBA Alumna, Carrie is also the parent of Lucy 2022. Karie Petrovics teaches 2nd Grade on the Lower Campus, and has been at PBDA since 2009. Having graduated with a B.S. in Elementary Education & Educational Psychology with an Endorsement in Kindergarten from Ball State University, and a M.Ed. 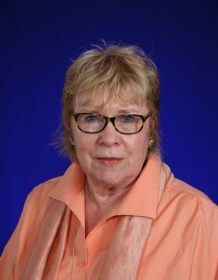 in Curriculum & Intstruction from Florida Atlantic University, she also holds a State of Florida, Professional Educator's Certificate for Elementary Education (Grades 1-6), and a Nova Southeastern University, English To Speakers of Other Languages (ESOL) Certificate, and is a certified Thinking Maps Trainer. In addition to teaching 2nd Grade, she also serves as the 2nd Grade Coordinator; Museum Partnership Liaison; FCIS Master In-Service Program Coordinator; Centennial Strategic Planning Commission Co-Chair; Thinking Maps Trainer. Karie is the parent of Alexa 2021 and Chloe 2023. Lauran Rearic teaches 1st Grade on the Lower Campus, and has been at PBDA since 2002. She graduated with a B.A. in Elementary Education from Indiana University of Pennsylvania, a M.A. in Reading K-12 from Nova Southeastern University, and is also Orton Gillingham trained. 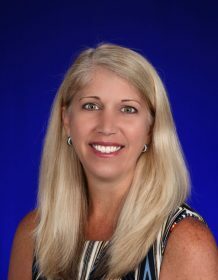 She holds a Florida Professsional Educators Certificate, K-6 and Reading Education Certificate, K-12. In addition to teaching 1st Grade, she is part of the mentor team. Lauran is the parent of Caitlyn 2028. Janice Remington is teaches 1st Grade on the Lower Campus, and has been at PBDA since 2008. She graduated with a BA in Elementary Education from University of Texas at Austin, and a M.S. in Informational Technology in Education from Nova Southeastern University. Janice is the parent of Kalysa 2013 and Kale 2024. 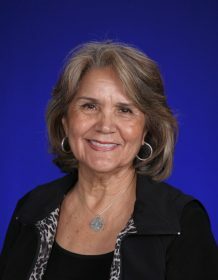 Barbara Reyes is teaches Spanish on the Upper Campus, and has been at PBDA since 2001. She graduated with a B.A.E. from Florida Atlantic University. 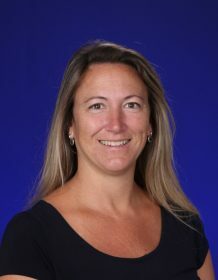 She currently teaches Middle and Upper School Spanish, and also serves as an 8th Grade Class Advisor, and as a member of the Secondary School Team. Barbara is the parent of Matthew 2014 and Stephanie 2016. Janira Reza teaches Spanish on the Lower Campus, and has been at PBDA since 2018. She graduated with a B.A. in Spanish Education from Birmingham-Southern College and also holds a M.Ed. in English as a Second Language, from University of Alabama in Birmingham. Tom Sarko teaches Science on the Upper Campus, and has been at PBDA since 1979. He graduated with a B.S. in Elementary Science Education from the University of Wisconsin, and a M.S. in Geosciences from Mississippi State University. 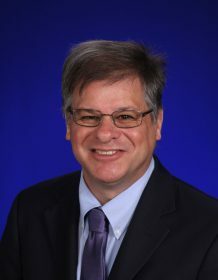 In addition to teaching science, he also serves as the Science Department Chair and as an Academic Advisor. Tom is the parent of Diana 1996. Kyle Schlett teaches English and History on the Upper Campus, and has been at PBDA since 2017. He graduated with a B.A. in English from Gettysburg College, and a M.A. in American Studies from Pennsylvania State University. He currently teaches 6th Grade English and 7th Grade English & History. Elizabeth Sheen teaches Primary students on the Lower Campus, and has been at PBDA since 2007. She graduated with a B.A. in Elementary Education from Rollins College, and a M.A. in Curriculum and Instruction from Florida Atlantic University. In addition to teaching Primary, she also serves as the Tapestry representative for Primary, and as a member of International Day Committee. Elizabeth is the parent of Samantha 2030. 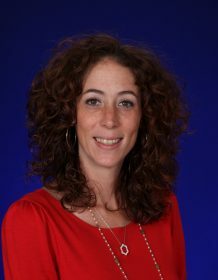 Deena Sobel is the School Counselor and has been at PBDA since 2011. Having earned a B.A. in English from SUNY Geneseo and a M.S. in School Guidance and Counseling from Nova Southeastern University, she also holds Florida State Certification in School Counseling -PK - 12. In addition to her work as School Counselor, she also serves as an 8th Grade Advisor. Deena the parent of Mia, 2030. 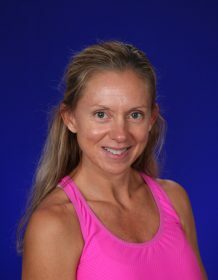 Sara Stapleton teaches our Primary students on the Lower Campus, and has been at PBDA since 2007. Having graduated with a B.A. in Musical Theater and Dance from Palm Beach Atlantic University, and a M.Ed. in Education from Regent Universtiy, she is also holds a Master of Education (Concentration in Teaching Reading) certification and Education Specialist Degree (Curriculum and Instruction). Sara also serves as the Ambassador to the Kravis Center for the Performance Arts. Bryce Stewart teaches History on the Upper Campus, and has been at PBDA since 2013. He graduated with a B.A. in American History, English, & Education from DePauw University. 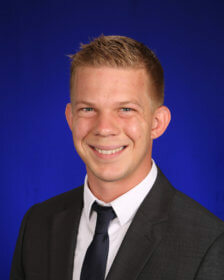 Bryce currently teaches World History, American History, Athletics, and also serves as a 9th Grade Advisor, History Department Chair and Coach. 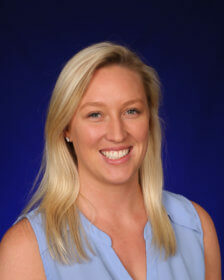 Kara Taylor will teach Pre-Primary as she did last year after joining the team in February. Kara has a B.A. in History from Grand Valley State University and studied Early Childhood Development at Grand Rapids Community College. She comes to us from Highland Christian Academy in Apopka, FL where she taught for two years after many years working with special needs children in Illinois and Michigan. Kara and her husband have two children. Katy Thompson teaches 5th Grade on the Upper Campus, and has been at PBDA since 2007. She graduated with a B.A. in History from the University of Virginia, and a M.T. in Secondary Social Studies from the University of Virginia. She currently teaches 5th Grade English, Reading, History, and also serves as the 5th Grade Lead Teacher, UC Faculty Volunteer Coordinator for Feather Ball and Co-director of Bulldog Outreach. 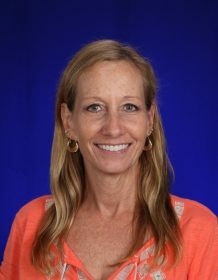 Katy is the parent of Dylan 2012, Cooper 2026 and Charlie 2028..
Scott Thompson teaches Art and History on the Upper Campus, and has been at PBDA since 1990. He graduated with a B.A. in Liberal Arts from Central Connecticut State University, and a M.Ed. in Curriculum & Instruction from Florida Atlantic University. He also serves as Chairman of the Art Department, and as an 8th Grade Advisor. Scott is the parent of Dylan 2012, Cooper 2026 and Charlie 2028. Cecilia Thoresen is the Library Assistant. Suzanne Torlen is the Upper Campus Librarian, and has been at PBDA since 1997. She graduated with a B.A. in English from Central Michigan University, and a M.S. in Educational Media from Fairfield University. 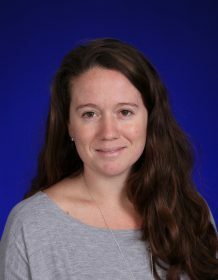 She currently teaches 4th and 5th grade study skills; Upper school study periods, and also manages the Renaissance Learning Program. Stephanie Walker teaches 3rd Grade on the Lower Campus, and has been at PBDA since 2016. She graduated with a B.S.B.A. in Marketing from Boston University, and a M.Ed. in Elementary Education from the University of Hartford. She holds a Florida Professional Educator's Certificate: Grades 1-6 and a ESOL and Gifted Endorsement. 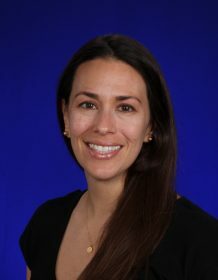 Stephanie served as co-chair of the Lower Head of School Search Committee and is the representative for the Lower Campus Green School committee. 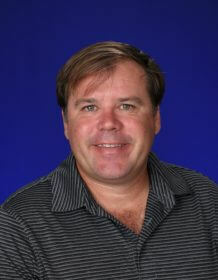 Rusty Wilkerson is a Physical Education Teacher on the Lower Campus, and has been at PBDA since 2003. He graduated with a B.S. in Physical Education & Exercise Science from Palm Beach Atlantic University. He currently teaches Physical Education and After School Sports Program, and also assists with Lower Campus Field Day coordination. George Yeager teaches 3rd Grade on the Lower Campus, and has been at PBDA since 2010. Having graduated with a B.S. in Elementary Education from East Stroudsburg University, and a M.Ed. 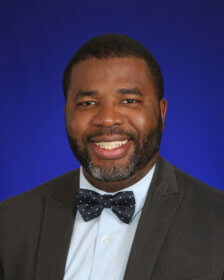 in Curriculum & Instruction from Florida Atlantic University, he is also a National Board Certified Teacher and certified to teach English to speakers of other languages. Jessica Yeager teaches 2nd Grade on the Lower Campus, and has been at PBDA since 2011. Having graduated with a B.S. in Elementary Education from West Chester University, and a M.Ed. 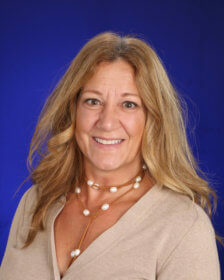 in Curriculum & Instruction from Florida Atlantic University, she is also certified in TESOL. In addition to teaching 2nd Grade, Jessica also serves as a member of the STEAM Leadership Committee. 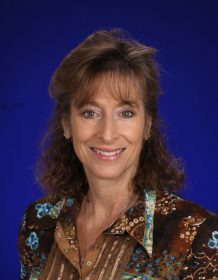 Karen Zacka teaches Pre-Primary students on the Lower Campus, and has been at PBDA since 2016. Having graduated with a B.S. in Psychology from Fordham University, and a M.Ed. 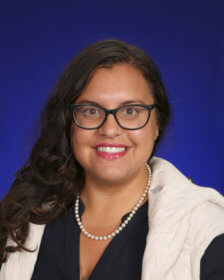 in Therapeutic Education from College of New Rochelle, she is also holds Director Credentials, is NY State certified K-6 and has NY State certification in K-12 Special Education. In addition to teaching Pre-Primary, Karen also serves as the Grade Level Coordinator. 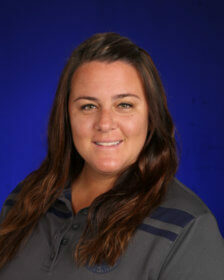 Kelly Zingaro teaches Athletics on the Lower Campus, and has been at PBDA since 2005. She graduated with a B.S. in Elementary Education and Physical Education from Arkansas Tech University. She currently teaches Lower School P.E. Kelly is the parent of Grace 2022 and Bella 2024. 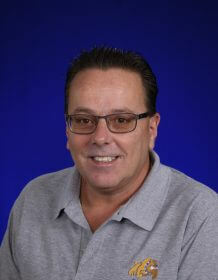 Steve Lucchesi is the Director of Security, and has been at PBDA since 2006. After earning a B.S. in Business Administration from Seton Hall University, he graduated from the FBI Academy and spent 30 years in federal law enforcement. He is the parent of Stephanie 2019. 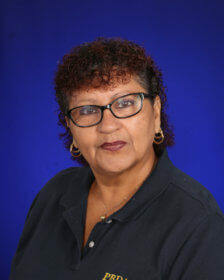 Glenda Moffatt is the Lower Campus Security Director, and has been at PBDA since 2013. Having graduated with a B.A. 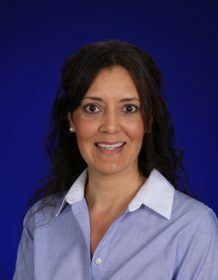 in Psychology from the University of Kansas, she is also has 25+ years of experience as an FBI Special Agent. Chris Carson is the Computer Systems Administrator and has been at PBDA since 2005. He has a B.S. in Biology and a B.S. in Psychology from the University of Central Florida. Christopher Evans is the Facilities Manager on the Lower Campus, and has been at PBDA since 2014. He is the parent of Christopher 2023 and Winter 2028. 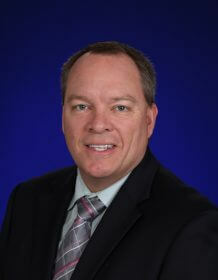 Scott Moore is the Facilities Director. 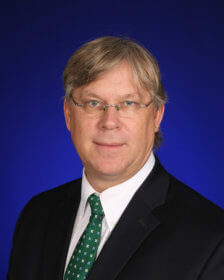 Glenn D. Smith is the Director of Food Service, and has been at PBDA since 2006. He graduated with a B.A. in Managerial Economics / Spanish Literature from Hampden-Sydney College. He is the parent of Taylor 2009 and Barrett 2010. Maria Velez is a member of the Upper Campus Maintenance Staff.